Crowd was quiet today and not all that big -- understandable given last-minute makeup. Not much adrenaline for Sale to feed off for sure in terms of velo. @IanMBrowne @LttleGel Of course. He was overthrowing with his FB against the Yanks. You should google that one. Too many good places to choose from. Looking forward to the Bucs series. @TimNeverett coming out to LA to catch the Bucs Saturday night, where is the best place to get a taco? Cool, see you in late July then. @TimNeverett Yeah. I work grounds for the Nats and i’d say ours is about half that. Covers a lot, but not to the mound. This was the first time after a start this season that Sale was relatively upbeat. You should take that as a good sign. Shouldn't you be giving us line combinations from the Garden or something? Just as long as it doesn't cover the rest of the infield. 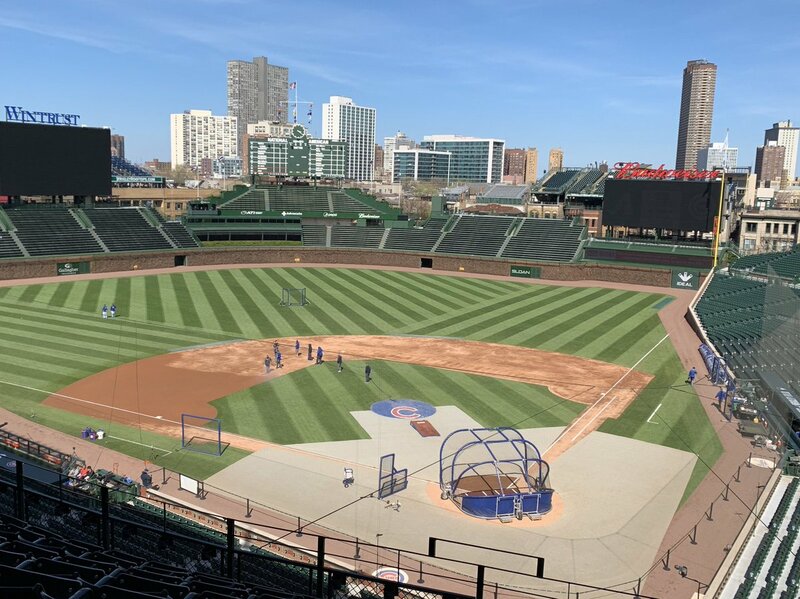 @TimNeverett @Dodgers @Cubs @AM570LASports @mlbatbat @MLBTV @SIRIUSXM That’s a lot of tarp on the ground for BP ?. Looks like Darwinzon Hernandez might not be the only young gun about to spend his first day in the Major Leagues. #PawSox reliever Travis Lakins is on his way to Fenway Park.